The more I actually read about Medjugorje, the more I am shocked that anybody could possibly believe in it. Last time, I went into the dubious lifestyles of some of the seers, many of whom live in luxury driving custom BMW's and dwelling in palatial villas while making a fortune off of speaking on the alleged apparitions. This time, I'm going to give some excerpts from the messages themselves, which are not only trite and generic, but downright heretical in many instances. As Davies points out, this is just a symptom of the authority crisis within the Church. Without clear authority coming from the Magisterium, people will seek it elsewhere; even in fantastically incredible "apparitions." I wish to give you messages in a way unprecedented in history. One can hardly deny that by the “apparition” making thousands of appearances whenever called upon by one of the seers, these messages are certainly unprecedented in history! By praying you have helped me realize my plans. I shall implore my Son that all my plans will be realized. Dear children, without you I cannot help the world. Does this mean that the intercession of our most gracious advocate depends entirely on the seers of Medjugorje? I shall leave behind a sign for the infidels. This is an interesting development, because, as will be shown below, the promised sign was originally intended to prove the veracity of the apparitions to the faithful. Dear children, I ask all of you to live and change all negativity within you, so that everything will become positive and living. This message seems to have come straight from a New Age manual. There is but one God for all people, but people have conjured up several religions. My Son is the one Mediator and Saviour of all people, but, as I see it, people get on well if they live their own religion well, if they follow their conscience. Is Our Lady saying here that the Catholic religion was conjured up by men? How can a religion founded by the incarnation of God the Son be put on the same plane as religions conjured up by men? This message certainly smacks of heresy." It is claimed that on 25 July 1982 Our Lady said: “Pray for the sick! Fast for the sick! Lay your hands on them! Administer them charismatic anointings with oil! Any layman can do it!” Some have asked whether this does not suggest that a layman can administer the sacrament of the anointing of the sick which is reserved for priests. If so, this certainly would be heresy. As one blogger said, anybody who is even familiar with one third of the evidence against Medjugorje cannot possibly continue to believe in it. Why is it dangerous to fall for such apparitions? Davies tells of the example of the supposed visions of Palmar de Troya: I recollect very clearly a decade or so ago that I scandalised some devout friends by maintaining that the alleged apparitions at Palmar de Troya in Spain were inspired by the devil. I was asked how I could make such a claim in view of the piety manifested there: all night vigils, heroic acts of penance, the rosary, and financial sacrifices of staggering proportions. How could Satan have been responsible for such good fruits? I knew one devout and highly educated English Catholic who sold everything he had and abandoned his profession to go and live in Palmar. Later, when Clemente, the self-styled seer, proclaimed himself to be Pope and "excommunicated" everyone who did not recognise him as such, this friend and others withdrew from Palmar in horror, and admitted that they had been deceived. But the tragedy is that there are thousands who did not. Their faith had become identified with the authenticity of the Palmar sect. Satan had amputated them from the mystical body of Christ. Gosh, out of the many huundreds of messages you have made a miserableattempt in trying to demolish them. Am I to understand then that the rest of the messages are okay, that they speak the truth? Twenty-six years and still the Vatican has failed to close down Medjugorje because of anything said in the messages. What chance have you got. I am just saying that we should be looking at the evidence and not letting our eyes get clouded by sentimentality. Sure, Boniface, there is nothing wrong in looking for and seeking evidence, providing that the evidence produced is truthful and honestly presented. God is found in truth not lies. I’m sure the Vatican has kept a close eye on all things Medjugorje during the past 25 years. Perhaps they something or may be aware of something that you and I may not be party to. Who knows? And of course, you are entitled to hold a personal point of view about Medjugorje. But I can honestly say to you that my own eyes are not clouded by sentimentality, neither I would suggest are the thousands of priests, bishops and even cardinals that have taken the time to visit Medjugorje and experience what is happening there. “I do everything I can for people to hear this message, so that they may begin to renew their spiritual lives, their family lives. This is from a priest chosen by God to proclaim the Gospel, who has laid his life on the line for God, and was imprisoned under a communist regime for his belief in God – not a sentimentalist. In your quote, Fr. Jozo said, "The position of the Church or the position of individuals is not the point." That is exactly the problem. The position of the Church is the point. For Fr. Jozo to say that the position of the Church demonstrates that the people involved in this are more concerned with "experiencing what is happening there" than with the clear statements of the Church. Experiencing what is happening there does not matter once someone starts saying that the Church's position is not important. Just curious, how then, do you interpret the messages of Our Lady that seem to suggest heresy, like the claim that "people get on well if they live their own religion well." This is supposedly from Our Lady's mouth, but it is heresy, because the Catholic Faith teaches that other religions, though possessing elements of truth, are manifestly false religions and that people ought to be converted from them to the Catholic faith. But that makes no sense is "people get on well if they live their own religion well." What do you make of this? Boniface, you have changed the sense of Fr Jozo’s meaning by misquoting: Fr Jozo did NOT say that the position of the Church is UNIMPORTANT. He said the position of the Church is not the POINT – a completely different inference. This shows me that you have in fact missed the point Fr Jozo was making about Medjugorje by rushing in with what you possibly wanted to hear. Then you embark on making an assumption on your own distortion. That can take us down all sorts of blind alleys. I say again, when we seek evidence we must be careful not to distort or change someone else’s words or meaning, deliberately or not. As to your curious question, asking how I interpret the message of Our Lady that seems to suggest... can you give me the source and date of the particular message? The reason I ask this is that, as you have just demonstrated, sometimes words are distorted or rewitten to present another meaning, and I just want to be sure that this is an actual message from Our Lady and not someone else’s words. Hope you can understand and respect this. If I might be allowed to interject... On 1 October 1981 the "apparition" announced: "To God all religions are the same." The date of the message in question is from the message of October 1st, 1981. There, Mary says, "To God all religions are the same." Thanks for the date Boniface, but what is your source for the message? As I mentioned earlier we must be careful that any evidence we seek is not tainted or corrupted. The particular message you have made mention of is not correct in its presentation. It has been grossly distorted to produce the opposite of what was actually said. The only correct part is the actual date you have quoted, October 1, 1981. I don’t think any Catholic can say these words contradict their faith. But it does go to show that there are people out there, and I am not including you, Boniface, or Anselm, who for their own reasons are prepared to distort the words of others. As I said earlier, there is a danger to this. Lies and confusion come from only one source and as Catholics we all know who that is. Do you know where a good online source is to be able to view the Messages in their entirety, so we can view them "from the source?" Boniface, I don’t. But the Medjugorje parish has published all the weekly and monthly messages given by Our Lady through the visionary Marija. It also publishes the annual messages given to the seers whose daily apparitions have ended. Can you tell me your source for the message dated October 1, 1981. I have asked twice now and you haven’t responded. Is there a problem with disclosing the source? There is no probelm with disclosing the source. I got it from the text of Davies' book; I was waiting because I was trying to track down the original message in its whole context, but as of yet I have been unable to find an online source. What do you make of the fact that not one of the visionaries has entered the religious life (contrary to the known apparitions to Bernadette and the Fatima children) and furthermore that several of the visionaries have gotten rich off of this? Written questions asked of the seers: "Are all religions good?" All religions are similar before God. God rules over them just like a sovereign over his kingdom. In the world, all religions are not the same because people have not complied with the commandments of God. They reject and disparage them." This repsone is at best ambiguous. The word "similar" used here is the Croatian word "iste" which means "the same" or "the very same." It seems to be saying that "before God" all religions hold equal merit, but "in the world" there are differences. I would definitely say that such a message, even if you tried to construe it in an orthodox manner, reeks of heretical implications. All religions are certainly not similar before God. Boniface, thank you for the source. Obviously the first sentence of the particular message dated October 1, 1981, is different according to the source used. But as in most things in life when we recognise differences we should not insist that this is a reason to find fault. Instead we should look at what we have in common and build on that to reach a better understanding. We are both using different sources. This happens in the NT when the Gospel writers present the same story in different ways. It is not uncommon, especially when passed on orally. Instead we have to look at the overall sense of the Gospel passage, in context and not fall into the trap of isolating words in an attempt to change the meaning of what was intended. What is common in the text taken from the two sources is the third sentence: IN THE WORLD, ALL RELIGIONS ARE NOT THE SAME... Both sentences are exactly the same. There can be no dispute on this. We should not ignore this when you say that it seems that Our Lady is saying that all religions hold equal merit. This is not the case. How can it be when your own source is saying ALL RELIGIONS ARE NOT THE SAME. Even allowing for your Croation translation the text you quote is still a contradiction. How can the “very same” be “not the same”. Our Lady does not contradict herself or the Church. Others may choose to twist her words for their own reasons and agenda. As to the visionaries not entering religious life. Why should they? God has given each of us a wonderful gift of free will which both he and Our Lady respect. We are free to choose. That the visionaries have not become priests and nuns is not sinful. But marriage is also a sacrament, no greater or lesser than the sacrament of priesthood. All of the visionaries are married with families. As to the visionaries getting rich. Rich in what terms, a house, a car, food on the table, money in the bank? Is this also sinful? Are they not entitled to have food, shelter and comfort for themselves and their families? Are they to be deprived in this way because they have been blessed with apparitions of Our Lady? Does not any labourer deserve his wages? Making judgements about our brothers and sisters in Christ based on distorted opinions of others read in books or on the internet is not the best way to form a truthful opinion about those we are called to love. This can be very harmful to them and their families to be criticised in this way, and it is not good for our own soul either, especially if we misuse the gifts we have been given to promote the slander to a wider audience. And as Catholics we know we will be held to account for this behaviour unless we avail ourselves of God’s mercy and goodness. It would be better we said nothing about a person if we cannot see any good in them. Jesus calls all of us to recognise him in every heart, whatever our faults and failings may be. First, as to the message in question. I do not think it is a contradiction...she says first, "All religions are similar before God," then, a sentence later, "In the world, all religions are not the same." To me, it seems that she is saying before God (ie, in God's eyes)all religions are similar (or the same, or however you translate it). This she contrasts with the situation in the world , in which all religions are "not the same." Well, it is obvious that in the world, all religions are not the same. They all look different and teach many contradictory things. What we want to know is how God's views them; in God's eyes, "All religions are similar before God." Therefore, it seems to me that this message is saying, "Religions come in all shapes and sizes on the earth, but before God they are all of equal value." Even if this is not what the text actually means (and I grant that it may mean otherwise), I think it is ambiguous and problematic at best. Second, as to the religious life: there are two reasons why they should have pursued it. First, in August, 1981, in response to the question as to what the Seers should do with their lives, our Lady said, "I would like for you to become priests and religious." Now, none of them did it. If Our Lady wanted them to, why didn't they? Granted, she also said, "only if you, yourselves, would want it. It is up to you to decide." (L.2, 83). But if the Seers knew that it was the will of Our Lady (and by extension, that of God Himself), why did they not do what God and Our Lady wanted? Furthermore, all of the other visionaries of the approved apparitions (like Bernadette and Sr. Lucia) went into religious life. 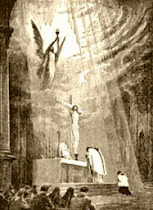 The idea being that receiving an apparition communicates so much grace to the soul that one ought to feel compelled to worship God in an exalted state of contemplation. Granted, as Our Lady said, the Seers always had a choice. But if Berndatte was given the grace to desire a religious vocation after only seeing Our Lady less than two dozen times, how come over 30,000 apparitions have not produced one vocation from the Seers? Finally, as to being rich: I am not referring to "food on the table," but referring to Marija Lunetti (Pavlovic) living in a six story home in Italy (isn't six storey's excessive?) and to Ivan Dragicevic owning multiple homes in Boston and Herzegovina and owning a custom BMW. Is this evangelical poverty? This bespeaks of the reality that the Seers are making a living off of the apparitions. Sure, a laborer is worthy of his wages, but when I compare the humble poverty of St. Bernadette and Sr. Lucia, and their religious callings, with the lives of luxury that the Seers enjoy, it seems to call doubt on their claims. Boniface, how can you dismiss Our Lady’s messages on one hand and then use them against the visionaries. You can’t have your cake and eat it, as they say! If the apparitions are not genuine and the messages are false, then why hold the visionaries to words Our Lady is supposed to have said to them about the vocational liife. Don’t be blinded by any perceived oppulence, otherwise you may have to ask questions about the palatial accommodation used by our Cardinals and Pope. Is it really necessary? We should refrain from making comparisons of people, because in doing so we judge ourselves in the eyes of God. I’m sorry to say, Boniface that your personal accusations of the visonaries is less than charitable, particularly as you have probably never met any of them, vsited their homes, spoken to them or anyone who knows them. Do you put your ‘Christianity’ into practice, or is it just a label. Let me remind you of the new commandment Jesus taught all thatt choose to follow him. Love thy neighbour as yourself. When we fail to show charity to our neighbour we are failing to love ourselves. And then our hearts are in danger of being filled with negativity and anger against others. I don't believe that any of the messages were authentic; I'm just saying that the Seers themselves said that Mary wanted them to become priests and religious; and if the Seers really believed it was the Blessed Mother, why didn't they obey her wishes? The fact that they did not obey is exactly what leads me to believe that they are not authentic. As I said, Boniface, if you don’t believe in the messages then it isn’t rational to use them against the visionaries. If the messages are based on a lie then every assumption or arguement based on using the messages against the visionaries is based on a false premise. You cannot take a lie and make it into truth. Whether you believe or not, will not change the events at Medjugorje. Whether you believe or not will not change the fact that God pours out his grace upon the whole world. The rain falls, the sun shines on both rich and poor, on believers and non-belivers. Whatever your thought and opinions are on Medjugorje will not alter all the good that has been produced over the past 25 years. Why is it that some people have only a desire to see the bad and not the good? What kind of blindness is this? St Paul struggled with accepting Jesus as the Christ and persecuted the early church in many uncharitable ways and acts until by God’s grace he saw the light. There is no need for anyone to persecute good, practising Catholics for something they believe in, that has not been condemned by the Church, that is still under consideration by the Vatican. If the Church has not condemned Medjugorje, what prompts your heart to do so and some of those involved? Is this type of persecution really what being a Catholic is all about? Well, this is going to be my last post on the matter, but I am not persecuting anybody. I merely disbelieve in the alleged apparitions and think they are harmful to believe in, that they promote false ecumenism, and distract from the important messages of Fatima. The end thing of importance is nothing to do with what supposed good fruits there are from Medjugorje, how many people go there and feel something or not. All that matters is whether or not the seers and the messages are trustworthy, and I hold that they are not. And if they are not, then nothing else matters, not fruits, not how much people love going there, none of it. Only whether or not the messages are true. The Holy Father has NOT approved it (and in the catholic church, an apparition is not true until it is approved, NOT the other way around. The silence of the vatican ought to be interpretd as a condemnation, not as a declaration of validity). I respect your dialogue on this issue and hope you will continue to visit this blog in the future. If I come across more evidence, I will present it. Boniface, do you have an email address I can reach you at? Your understanding of the the Catholic Church’s stance on apparitions is out of sync. No Catholic is obliged to believe that any of Our Lady’s apparitions are true. Surely you know this? Why even the local bishop of Mostar is on record as saying that he does not believe in the apparitions of Lourdes and Fatima, and he still holds office. No Catholic is bound by the Church to believe in apparitions. Check for yourself. And you are also mistaken as saying the silence of the Church on Medjugorje should be taken as condemnation? Boniface, what is the Catholic church if it is not its members? Don’t confuse the hierarchy as just being the Catholic Church. It is the people, its members, who are the Church. And if the people (including priests, bishops and cardinals) choose to visit and practice their faith at Medjugorje in a way that conforms with the teachings of the church – and the local bishop, then what is wrong with that? As millions have done. As for Fatima... how long did it take for the Church to approve the apparitions there? And did pilgrims sttay away until it was approved? And what you refer to as presenting evidence may in fact be presenting untruths and gossip without any factual basis. Thanks for the conversation, Boniface, I hope I have been able to enlighten you in some way. I would suggest you try and get to Medjugorje some day and find out yourself just what this place is all about. Come and see, said Jesus. (referring to where he lived). Jesus and the Holy Spirit is alive and kicking in Medjugorje – bigtime! And so is Our Blessed Mother. Come and see! Peace and every blessing to you and to Anselm. would suggest you try and get to Medjugorje some day and find out yourself just what this place is all about. May I suggest you read Davies book? At least half of it? Even if this is not what the text actually means (and I grant that it may mean otherwise), I think it is ambiguous and problematic at best. And that is a major problem. Did Lourdes or Fatima formulate things ambiguously? Of course not. Having an apparent apparition inserting ambiguity into Catholic understaffing and teaching is already a warning sign. Our Lady is in the Beatific Vision, she cannot possibly formulate a message full of ambiguity because her intellect is now so vast and superb. The ambiguity can be misinterpreted; Our Lady would not set her messages up to be manipulated so easily. She would use concise and clear language to safeguard her messages. Alexander... isn’t it amazing how some people, even some Catholics attempt to outhink Our Lady saying she should only speak in a certain way, concise and clear – and then in another breath admit to her superior intellect (by that I take it you mean understanding). This is the “put God in a box” approach to understanding. What I mean by that is that some people dismiss such events because it simply does not fit iin with their own perception, and therefore it must be false. Personally, I feel that Our Lady’s messages messages are very concise and clear especially when you read all of them. And to dismiss the mesages because her language is unclear (as you see it) can only remind us of the style of vague language used by Jesus when he talked in parables. Even his own disciples had problems with this and Jesus would have to explain his words to them. So Alexander, would you be justified in putting the same arguement forward for not understanding the words Jesus spoke? Even his words have been misinterpreted, and by Christian groups, but there is not doubt as to his message, who he is and that he lived amongst us. And I am familiar with the particular book you mention that the late Mr Davies wrote. Do you know what ambiguity is? If something is formulated ambiguously it can be read several different ways. You could be reading it in an orthodox manner, some other guy can be reading it in a heretical manner. The danger here is not that it is about perception but about the fact that the word’s chosen to be used are not clear enough. Had “Our Lady” simply chosen better words then we would not be talking about this. Christ spoke in parables because the people he was talking to could not understand the Kingdom of God. That is far different from ambiguity. You are drawing an incorrect parallel. Had the word “similar” not been used and instead in its place simply use another word or two this confusion would be avoided. There is nothing parable like in the Medjugorje messages. Further still I do not dismiss them for that reason alone. Davies’ book gives plenty of other reasons. Scripture was written 2,000 years or more ago with certain cultural context. Our Lady would not use confusing statements to communicate her messages. I have compared them with Lourdes and Fatima. At Lourdes and Fatima her messages were clear and concise. She would not speak to people of modern times in a context that is part of a culture and time of 2,000 or more years ago like Scripture does. Therefore, you cannot compare Scripture to our Lady’s messages. Every post you made here has not convinced me of your position. I have seen nothing rebutting Davies huge amount of information. Alexander... I am not here to convince you of anything. I don’t need to do that. And I CAN compare scripture and Our Lady’s messages because they are the Gospel message. What other message would she bring? I raised a question on the accuracy of the messages presented by Boniface and also challenged, in my opinion, his uncharitable words against the Medjugorje visionaries. I can only repeat that 26 years on the Vatican has still done nothing to close down Medjugorje, or found fault with its message. There is no ban on pilgrims visiting there. Priests, bishops and Cardinals have done so and continue. Shepherds lead, sheep follow. And still Medjugorje endures: the messages spread, conversions continue, lives are changed, vocations flourish, and the good fruits are reported, despite all opposition. Michael Davies is dead and buried. May he rest in peace. While I on the other hand have accesses to a tremendous amount of information demonstrates lies, contradiction and scandalous activity which I have seen little to no rebut for. I mean you cannot compare the way Scripture words things with the way modern apparitions, councils, etc. word things. Scripture is written under a certain context and under a certain culture atmosphere so of course it can be confusing sometimes. But an apparition of Our Lady to the modern world does not need to be confusing or ambiguous. I can only repeat that 26 years on the Vatican has still done nothing to close down Medjugorje, or found fault with its message. I do not care if the Vatican has not closed it down. If you have ever read anything about what the heck has been going on in the Church since the 1960s it is no surprise that the Vatican has been moving the way it does. It’s no surprise to me at least. There is no ban on pilgrims visiting there. Priests, bishops and Cardinals have done so and continue. Shepherds lead, sheep follow. And they, yes the majority, can be wrong. In the crisis of the Arian heresy for example most bishops were wrong. In these modern times of confusion and ambiguity, massive error and heresy even within the Church, I am again not surprised that priests or whoever can arrange pilgrimages to Medjugorje. I am not so persuaded if X number of people believe in something. A Mass number of people believing in a certain thing is a weak defense. And still Medjugorje endures: the messages spread, conversions continue, lives are changed, vocations flourish, and the good fruits are reported, despite all opposition. And the examples at this blog about “good fruits” and how it all can go wrong also still stand. You really should be concerned that “Our Lady” is giving out ambiguous messages when, given everything I have stated, that should not happen and cannot happen – but yet it does. Perhaps you should read some more of Davies’ book. There’s a whole section on documented lies and contradicts from the seers that I have seen no one rebut. You totally ignored that fact that the seers gain money and spend money excessively. Custom BMWs? Why? That doesn’t even fall under any means of necessity. And may you read his information on this so-called apparition that totally demonstrates it to be false. Alexander... You ask why I am here but if you go back on the last post I sent then you will see the explanation I gave as to why I made comments. You are mistaken if you think I am trying to defend Medjugorje. Medjugorje does need defending. People can rage against it, finger-point, seek to propagate lies and slander against visionaries, and yet still Medjugorje continues. It will continue beyond the lives of Michael Davies, the Medjugorje priests and visionaries, the pilgrims, the local bishop and perhaps even myself, yourself and Boniface, because if it comes from God, nothing you or I will say will destroy it. I sense that your real difficulty is not with what is happening at Medjugorje but with the Vatican and the Church itself. You seem to express much anger in your heart and that cannot be good for you. If your peace is disturbed then perhaps you should discuss the matter with a priest and relieve the burden in your soul. And I say this in all charity. Nice way to dodge my comments. I see you offer no rebut and are trying to bait and switch the whole discussion into my alleged “anger” issues. If you would like to discuss the current crisis in the Church revolving around the ambiguity in Vatican II documents and the fabrication of the New Mass which waters down Traditional prayers, eliminates traditional forms and is a break from the organic development of the liturgy I am all for it. But not in this thread. Alexander... as I said I am not here to “defend” Medjugorje or rebut anything you may have to say on Medjugorje (courtesy of Michael Davies’ book) except possibly offer a correction to any misquote and point out uncharitable remarks made against the Medjugorje visionaries. I have absolutely no interest in discussing any “current crisis” in the Church. Thank God, this particular member is not in crisis and I daresay neither are the millions of other members of the Catholic Church who have received renewed faith because of the events at Medjugorje. But according to your assessment there must be some members in crisis. I wonder who they may be? But I am not asking for a response on that question. This is the Medjugorje "Party Line": insinutating that those who are skeptical about the visions have some kind of problem with judgmentalism or with their faith. The Catholic Encyclopedia says that a true visionary seeks gently to repel the visions and that he does not try to compel others to beleive them. This is contrary to what happens at Medjugorje, where the faithful are urged to pray that others will accept the reality of the apparitions. Boniface, your are attempting to put words into my mouth. I am not insinuating anything. This is pure assumption on your part and then, once again, off you go down the wrong track trying to make a point or an issue about it when in reality I have said nothing of the sort. It was Alexander who said there was a crisis in the Church. I did not. You make another false assumption based on having read something in a book telling you how a true visionary should behave. If Our Blessed Mother decides to appear to someone, with a message, do you honestly believe that the person should gently repel Our Lady? And if so, how many times, seven times or seventy-seven times? And if the Blessed Mother keeps appearing with the same message, repelled not by the visionaries but by the people who refuse to accept the apparitions, what does Our Blessed Mother do in such cases. Does she continue to appear and keep giving her message or does she just decide she is wasting her time? Did not the Blessed Mother pray with the early Church in the upper room before Pentecost? And did not the Apostles compel others to believe the message they were given to spread. Does any mother feel she is wasting her time with her children? Does any mother of right heart and mind give up on her children? Does the Mother of the Church give up on the disciples given to her by Jesus at the foot of the Cross just because some repel her? As to the faithful at Medjugorje being urged to pray that others will accept the reality of the apparitions, this I have never come across or experienced. Can you give me an example of this, Boniface? Then why keep responding to me? There are a few things that I have stated that you have failed to defend. You have got to be kidding me. Are you completely oblivious to the crisis of faith that has been happening for the past forty plus years? Even Pope Benedict sees this! Also I again do not see the value of taunting the same tired old pro- Medjugorje party lines. Medjugorje is not handling the current crisis of faith. It is not providing solutions to the current liturgical problems and the New Mass or the ambiguity in Vatican II or anything else. Yes, you are just asking questions to deter from the fact that you cannot answer my initial posts. But the crisis of faith has to with many faithful becoming lukewarm or ceasing to practice their Catholic faith. Christianity is dying in Europe, the doctrine of the Real Presence is much less believed, shortage of priests in many areas and if you have noticed there is poor catechetics and poorly catechized Catholics all about. Our Lady recognises that there is a crisis on earth, because of a lack of peace in people’s hearts and therefore in the world. Why else is she appearing in Medjugorje if it is not to help her children in some way to come through this crisis. She does not appear to discuss the weather conditions, only to call for peace through reconciliation with God and with each other through prayer, fasting, confession (the forgotten sacrament), Holy Mass and reading the Bible. She also calls us to adore Jesus her Son in the Blessed Sacrament. So, Alexander, just as you are aware of a crisis, so also is Our Lady, Mother of the Church. She is a concerned Mother just as you are a concerned child about the lack of faith in the Church and the world. So I think both you and Our Lady are on common ground, so to speak. But perhaps she sees everything from a Mother‘s viewpoint and is full of grace, she is more gentle in her approach, treats ALL of her children with love, whatever mistakes they may make and is fully aware of the healing grace of prayer in all of our lives. Alexander, I am not trying to taunt when I present you with facts about Medjugorje, neither am I trying to avoid questions you put. As I said Medjugorje, if it is from God, is in no need of defending by me or anyone else. Our Lady is here to remind all of us where our true home is and to show us how to return to this path of holiness through peace and reconciliation. With the Holy Spirit she gives immeasuable graces to people in Medjugorje. This is a fact and is proven by the many conversions and fruits the graces produce. Medjugorje is responding to the “crisis of faith” in this world by producing good fruits, especially vocations to the priesthood. satan does not call men to be priests in the Holy Catholic Church, only God calls in this way. satan is not responsible for the hundreds of vocations born out of Medjugorje. This is the work of Our Lady and the Holy Spirit. satan cannot produce “good” fruit because only Our Father in Heaven is “good”. Here’s a follow-up to my last post. 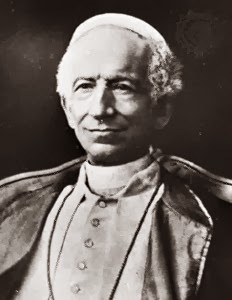 It’s Pope Leo XIII again and part of another Encyclical he published on August 30, 1884. Last year, as each of you is aware, We decreed by an Encyclical Letter that, to win the help of Heaven for the Church in her trials, the great Mother of God should be honoured by the means of the most holy Rosary during the whole of the month of October. In this We followed both Our own impulse and the example of Our predecessors, who in times of difficulty were wont to have recourse with increased fervour to the Blessed Virgin, and to seek her aid with special prayers. That wish of Ours has been complied with, with such a willingness and unanimity that it is more than ever apparent how real is the religion and how great is the fervour of the Christian peoples, and how great is the trust everywhere placed in the heavenly patronage of the Virgin Mary. For Us, weighed down with the burden of such and so great trials and evils, We confess that the sight of such intensity of open piety and faith has been a great consolation, and even gives Us new courage for the facing, if that be the wish of God, of still greater trials. Indeed, from the spirit of prayer which is poured out over the house of David and the dwellers in Jerusalem, we have a confident hope that God will at length let Himself be touched and have pity upon the state of His Church, and give ear to the prayers coming to Him through her whom He has chosen to be the dispenser of all heavenly graces. Dear children! Today I call you especially now to advance against Satan by means of prayer. Satan wants to work still more now that you know he is at work. Dear children, put on the armor for battle and with the Rosary in your hand defeat him! Thank you for having responded to my call. Dear children! Today, like never before, I invite you to prayer. Let your prayer be a prayer for peace. Satan is strong and desires to destroy not only human life, but also nature and the planet on which you live. Therefore, dear children, pray that through prayer you can protect yourselves with God's blessing of peace. God has sent me among you so that I may help you. If you so wish, grasp for the rosary. Even the rosary alone can work miracles in the world and in your lives. I bless you and I remain with you for as long as it is God's will. Thank you for not betraying my presence here and I thank you because your response is serving the good and the peace. I wuld have hought Pope Leo Xlll would have been very happy to hear these encouraging words from Our Lady urgiing all of us to continue praying the Rosary. You said crisis of peace, I am talking about a crisis of faith and the messages do not deal with the problems I listed. How can we be on common ground when you just stated that she is talking about a crisis of peace while I am talking about faith? Why should I assume that she suddenly goes ambiguous and produces an apparition site that does not function like the previous ones? That is full of contradiction, lies and scandal which are well documented? Then why keep posting? You are not using any sort of substance to defend and/or prove anything. There are many examples of events producing fruits, etc. but in the end it all went wrong. Perhaps you should not use this as a defense until the apparitions stop because it is not convincing seeing how this thing is not over yet. Is it clearing up the ambiguity in the Council? No. Is it restoring the liturgy to its organic and Apostolic Traditions? No. Is it stopping the widespread modernism that has penetrated the Church? No. Has it offered any solutions to these problems? No. Rather its message it basic about praying and doing penance. While praying and doing penance can help these problems it does not mention them. So people following Medjugorje assume that everything is fine in these areas, which in fact they are not. It almost appears to be a ploy to shift people's attentions away from the real problem. Why do previous apparition sites only last a short amount of time and do not involve the seers buying large houses and custom made BMWs? You do not realize that men can join the priesthood erroneously but with good intentions. Try reading some material from St. Joseph Cafesso on this. Like I said, until it’s over we shall see what comes of it. What if some strange message comes right at the end and most of the men who became preists started to follow it because they were loyal to Medjugorje? As shown in a previous post fruits and vocations can come from a source that appears to be holy and true but can suddenly turn dark. It was holy in the beginning to gain followers and to keep them once the perversion was manifest. Can’t say that will happen with Medjugorje, but I am erring on the safe side by rejecting it. I have reviewed a lot of evidence and documentation. Basically, it has good fruits mixed with ambiguous messages mixed with documented lies and contradicts from the seers plus the scandalous activities they have done. It appears very strange and sends up many alarms. The old “it produces good fruits etc.” argument is not a very good one until the apparitions has ceased. So you are basically saying that Medjugorje is just repeating what previous apparitions, Popes and Saints have said? All major apparition sites always have a specific goal in mind. But this goal is not to repeat the same thing over and over for 26 years that previous apparitions, popes and saints have already done within 80 years before it. Fatima came against Russia and to protect the Church. Lourdes was on mission for France. What Kind of "Fruits" are These? A very important statement on Medjugorje was published by the Catholic Information Agency in Zagreb on 22 June 1997. It documents the extent to which the Franciscans in Herzegovina are now beyond the control of the legitimate Church authorities. I was informed in Rome in 1996, at a very high level, that no progress is being made on the matter of Medjugorje because the Franciscans, who control the alleged seers, refuse any co-operation. It is hard to imagine how any Catholic could believe that Our Lady is involved with the litany of disobedience related by Don Ante Laburic, chancellor of the diocese of Mostar, who has summed up the situation perfectly by stating: "Medjugorje has become a place of religious disorder, disobedience, and anti-ecclesial activity." The full text of his statement follows. —The administration of the Franciscan province of Herzegovina, which was punished in 1976, has, from 1982, been given the further penalty of being at the level of ad instar, due to its unwillingness to implement the decisions of the Holy See regarding pastoral services in some of the parishes of the diocese of Mostar-Duvno. —Many churches have been built by the Franciscans through the help of the faithful and the benefactors, which they blessed themselves, without even informing the local bishop, which goes against canon law and the charisma of St. Francis. A church in the parish, Ljuti Dolac, was blessed this way on 23 April of this year. In Medjugorje itself, many ecclesiastical buildings have been erected without any permission from the proper Church authorities. —More than ten Franciscan priests do not have canonical faculties to hear confessions in the diocese of Herzegovina. Some due to their own fault, while others, due to the fault of their religious community which is not fulfilling the papal decree. —More than 40 Franciscans have not received the necessary faculties to work pastorally in Herzegovina, yet they do not even bother with the decisions of the legal Church authorities. Some of them are currently in Medjugorje. —Many religious communities are living and working in the parish of Medjugorje without the permission of Church authorities, such as: "Beatitudes," "Kraljice mira, potpuno tvoji," "Cenacolo," "Oasi di pace," and "Franjevke pomocnice svecnika." Hence, Medjugorje has become a place of religious disorder, disobedience and anti-ecclesiastical activity. —Last year, some "Catholic faithful," with the knowledge of the Franciscans, built a brick wall over the entrance doors of the church in Capljina and the cathedral's affiliated church in Miljkovici. Two Franciscans who are without canonical faculties for the parish of Capijina, are currently working in the enclosed church. Everything they are doing is unlawful and the marriages performed there are invalid! —Some of the Franciscans in Mostar are ignoring the legally established cathedral church and the other four diocesan parishes in Mostar dedicated to the four evangelists, while they continue to organize religious services with the people on their own, against the specific decisions of the Holy See and the head of the Franciscan Order. —In Medjugorje, the periodical Glas mira and "Press Bulletin" are published without the necessary permission from Church authorities. These same periodicals proclaim the "authenticity of the apparitions" and speak of the "shrine"—even though no responsible Church statement has ever claimed "authenticity" or proclaimed any "shrine." —The counter-Church organization "Mir j dobro" (Pax et bonum) was allowed to borrow the shield and motto of the Franciscans, who have not distanced themselves from their group's illegal activities, even when this was asked of them. —Hence, these are some of the "fruits" of those who are using Medjugorje to "sell shady peace" to the world, and who have hardened themselves in their disobedience towards the Holy See and the Franciscan charisma. —On May 15, there appeared a dispatch from Medjugorje in Slobodna Dalmacija, regarding the Ugandan Bishops, whereby the "seer," Ivan Dragicevic, transmitted the Madonna's message, who on that occasion, said that she is "very pleased that the bishops are in Medjugorje." Ivan had been in the seminary in Visoko during 1981-1982. The commission investigating the "apparitions" questioned him once in Visoko. On 9 May 1982, he wrote: "A sign shall occur in June." Nothing happened in June! —Later on, he was expelled from Visoko due to poor grades. He continued on in Dubrovnik from 1982-83. During his two-year stay in the seminary, he said that he was seeing the Madonna and that she told him that he would be a priest. Yet he was expelled from Dubrovnik for poor grades. In 1994, he found the former Miss Massachusetts, Loreen Murphy, whom he married in Boston (Slobodna Dalmacija, 9 November 1994). On the day of the wedding, the groom "had an apparition" in Massachusetts. The Madonna seems to be following him around the world as with some of the other "seers" of Medjugorje. Now he presents the Blessed Virgin Mary as being "very pleased that bishops are in Medjugorje." This type of "message" is not only a clear advertisement for Medjugorje, but a simple invention aimed at making the naive "avert their ears from the truth and turn to extravagant tales" (2 Tim 4:4). A Statement by Monsignor Pavao Zanic, Bishop of Mostar-Duvno, published in May 1990. 10. Vicka never denied that Our Lady said these things or that she wrote these things down in her diary. The assurance and authenticity of this can be best confirmed by a cassette taped by Father Grafenauer during his talks with Vicka and Marija. He left taped copies of the cassette in the parish of Medjugorje, with the bishop and also with the bishops' conference in Zagreb. The cassette should be heard! Graf: The bishop has the duty to judge whether or not this is Our Lady. Vicka: He can judge as he wants, but I know it's Our Lady. Graf: The Church says of those who are confident in themselves, that this itself is a sign that Our Lady is not in question here. Vicka: Let those who are doubtful remain doubtful, I'm not. Graf: This is not a good thing . . . you once told the bishop that he should pay more attention to Our Lady than to the Pope. Graf: This means that the bishop should listen to you more than to the Pope. Graf: But the bishop doesn't know what the phenomenon is and perhaps it is not Our Lady. Vicka: Yes it is Our Lady. Graf: You told the bishop that he is to blame and that those two (Vego and Prusina) are innocent and that they can perform their priestly duties. Graf: Can they hear confessions? Did Our Lady mention this? Graf: If Our Lady said this and the Pope says that they cannot . . .
Vicka: The Pope can say what he wants. I'm telling it as it is! Graf: See, this is how one can come to the conclusion that this is not Our Lady . . .when the Pope says no, they cannot celebrate Mass, and they cannot hear confessions, and then on the other hand, Our Lady says they can do both. This cannot be! Vicka: I know what is right (What Our Lady said). Graf: This cannot be true. I would put my hand into fire to testify that this is not Our Lady speaking. When a person has a greater gift there also exists a greater danger that the devil could be at work upon this person. What a degrading humiliation of Our Lady! From these statements she is destroying obedience in the Church, obedience to the bishop, to the heads of the OFM Order, and to the Holy Father. She is defending Vego! What’s the defense for this? Alexander, does not a crisis in peace stem from a crisis in faith? It’s very simple to understand but perhaps more difficult to put into practise. All war begins in the heart. Peace in the heart does not produce war in the heart. If our faith in God does not bring peace in our heart then we should ask ourselves why this is? The concept of peace is from natural law which is written on everyone’s heart. That is, not to murder or suppress anyone, etc. There can be times of peace and good faith and times of peace with a crisis of faith. We even see from liberals, who are obviously swimming in error and heresy, an almost never ending cry for peace. True peace will come through the social Kingship of Christ; that is conversions to the Catholic faith and putting Christ as King in everything we do – work, leisure, etc. Therefore faith (the true virtue of faith - that is the Catholic Faith) and evangelization for the Catholic faith our prime. So it should be that faith can lead to greater peace – a clearer realization of it through the help of supernatural graces; much better than actual graces through natural Law. With this in mind the true and explicit emphasis should be on the crisis of faith and the evangelization of the world to the Catholic faith. So in a partial way you are right but it appears that the mindset is backwards. Even false prophets will chant on about peace to the world. If one prays for peace that is good. But if one prayers to the conversion of sinners to the Catholic that is better. Because if these people are converted then the peace the will result will last longer and be fuller because they place Christ as their King. So then the Medjugorje message’s should have their prime focus on faith and conversion of non-Catholics to the Catholic faith. Is this the case? I do know that Our Lady asks that we should pray for those who have yet to know the love of God in their hearts. Some refer to these as “unbelievers”. But Our Lady never refers to these people as “unbelievers”. She also addresses her messages with ‘Dear Children’ not ‘Dear Catholics’. It seems that her call is to all of God’s children. The absence of faith, hope and love is not exclusive to any group. 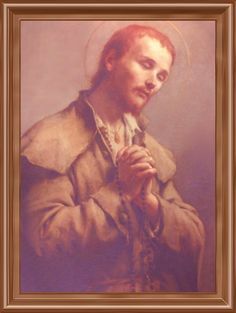 It is good to pray for the conversion of sinners, because this is recognition that we are sinners ourselves and all in need of daily conversion of the heart to attain the peace that God wishes us to have, rather than the false peace the world has on offer. It is a peace not as the world knows but the peace that comes from heaven. There is a difference. This why peace can only come through faith, hope and love, three gifts that last and that we take to Paradise. This is the peace Our Lady talks about in her messages. Yes, the desire for peace is written in everyone’s heart by God. We seek it in all sorts of places and all sorts of ways but until we receive and understand the peace that Jesus and his Mother speak about and wish to bestow, then we will continue to be restless in our ways and searching in the wrong places. And you must know Alexander that not all Catholics are at peace with themselves or with God. Being a Catholic does not guarantee peace in any person’s heart. If it did, why is there the crisis you talk about in the Catholic Church? Finally, how can any of us evangelize the love and peace of God to anyone if we do not possess the gift ourselves. We cannot give if we do not possess. Peace and love can only be demonstrated and given to others if we possess peace and love in our own hearts. As I said in another post, war begins in the heart. So does peace and love. I appreciate your patience and responses to my posts, Alex. But is there no explicit call to covert non-Catholics to the Catholic faith? If not what you tried to reconcile above is just shifting through more ambiguity. Mary is the Mother of the Church by virtue of her Son. That is all who are apart of the Body of Christ can call Mary their mother. And to be a son of God you must go through Christ and be made one as Scripture indicates in John 1. Since non-Catholics are not apart of the Church they cannot be properly called children of Mary since they are separated from the body of Christ. But since no explicit indicate of who ore what children are in the messages it is just another case of ambiguity. The true virtue of faith, the only faith that can please God, is the Catholic faith. Hope is the virtue tied to this faith and love is a good work that can only yield justification if done in Christ. All this things point towards conversion to the Catholic faith. Because people have abandoned the true virtues of faith, hope and/or love. They remain in the Church but may only be Catholic in name. For example, they may do very well in the area of good works but are perverted in the area of doctrine or anything that can harm true doctrine like invocating scandalous events or watering down eternal signs and prayers in worship. This does not properly defend my claims against ambiguity in the messages which has no explicit call to convert non-Catholic as the primary goal, excess spending of money from the seers and of course the information I quoted above that you have ignored. Have you a defense for the information I quoted above? Alexander... I repeat, I am not here to defend Medjugorje or the messages, other than attempt to correct misquotes of the messages and point out any personal attacks on the visonaries. If you see ambiguity in the messages then perhaps this is a reflection of your own heart rather than the messages themselves. If your understanding is that the apparitions are false then all that follows, including the messages, is false. Dismiss the apparitions, then you dismiss the messages. But if your mind is made up that the apparitions are false and your mission is to convince others that the apparitions are false then you will use every means at your disposable to do this, including the messages. I understand this. This is not a problem to me because I have accepted that Our Lady is appearing in Medjugorje. I will not be able to convince others of this, but only bear witness to my own experience and point to the experiences of others. Each must decide for themselves, should they want to. That is why I do not try and defend Medjugorje. Alexander and Boniface have asked repeatedly if you could explain your interpretations of certain things regarding Medjugorje, and you simply respond that you are "not here to defend Medjugorje." Then what are you here to do? Everything you have said has been in defense of it, but it seems to me you fall back on this "I'm not here to defend" whenever you cannot come up with a logical explanation of their concerns. Maybe I'm wrong, but if so, please explain to me how I am. It seems to me that this debate will go nowhere until you actually take a look at the evidence they are presenting. They are not the only ones with closed minds in this discussion. Anne... perhaps you are assuming that I am here to debate Medjugorje – is it true or is it false? But that isn’t the case. Boniface has given people a facility to comment on his blog. This is what I have done. I think it is three times now that I have said the reason I made initial comments was to correct one of Our Lady’s messages posted originally by Boniface, and also to point out that criticising the visionaries the way he did was in my opinion, not charitable. Boniface and Alexander have tried to engage me in debate about Medjugorje and I have attempted to present some thoughts of mine from a personal experience of Medjugorje. But that’s as far as I can go. There is no defence neccessary for Medjugorje. If people choose to attack or find fault or cannot accept what is going on there, that is their choice. All I can say is that of the millions of pilgrims who go to Medjugorje, very few return and attack what is going on there. However the attacks usually stem from those who have never been there. Again, that is their choice. So, Anne, it’s not about a debate not getting anywhere because there isn’t a debate. I’m happy to share my experiences and even those of others, but that proabably isn’t of any real interest to Boniface or Alexander, and I can accept that. I don’t think anything I may say will bring them to accepting the events of Medjugorje and believing that Our Lady is appearing there. But trying to explain away ambiguity and then saying it’s all my fault is defending it. We have clearly seen here the ambiguity. That is, a message that can be easily interpreted to mean several things. Just because someone can explain it doesn’t mean others can. The fact that we see some vague and questionable things is enough for us to back off. As I have said, there is no need for this ambiguity with Our Lady or any other genuine apparition, but there seems to be in this case. Well you in fact are defending it. By trying to reconcile the messages you are in fact defending it. Does this make sense? And if that is all you have to say then you seem to be done here since you will not try to defend the information that I have posted which includes bad fruits as well as strange actions from the seers. If you don’t want to discuss this and are posting no substance whatsoever pertaining to the post topic or my criticisms then there is no reason for you to be here any longer. They are not the only ones with closed minds in this discussion. I approached Medjugorje with an open mind. Read the messages and the history behind it from pro-Medjugorje sources and in fact followed the messages for a while. I was even invited to go to Medjugorje, I wanted to but could not. My friend came back, showed me all his pictures and shared his experiences there as well as other’s experiences. I was rather neutral of Medjugorje at this time but always heard the same defenses for it about good fruits, promotion of the Rosary, etc. etc. Then I read Davies’ material and have found no rebut for it. My opinion then changed to rejection. If this is how closed minded people work then who is opened minded? There is no defence neccessary for Medjugorje. If people choose to attack or find fault or cannot accept what is going on there, that is their choice. Why does Medjugorje not need a defense? The Church Herself always needs a defense against attackers even with all of our good fruit, etc. St. Peter himself stated that we must always be ready to give a defense for the faith. But Medjugorje does not need a defense? All I can say is that of the millions of pilgrims who go to Medjugorje, very few return and attack what is going on there. Millions of people can be wrong. Shall I go through the list of the world’s largest false religions? However the attacks usually stem from those who have never been there. Again, that is their choice. I must spend thousands of dollars to go to Medjugorje in order to believe it? You are again mounting a defense whether you will admit to it or not. Your defense here is that most people who attack it have never been. I’ll just do the same thing and say most people who support it cannot answer the damning proof that is before our eyes from many sources especially Davies. Sure you can. If you can rebut all the bad things I have read about it, justify all its ambiguity, its very strange 26 year long run and also the scandalous actions of the seers… I’ll believe it. Alexander... on one hand you say I AM mounting a defense, and on the other hand say I am not posting any substance, and there is no reason for me to be here any longer. Such is ambiguity! What isn’t ambiguous to me is that you just haven’t picked up on what I have repeatedly said: THE REASON I made a comment on this blog was to correct an error in one of the messages posted and to point out the less-than-charitible comments made by Boniface about the visionaries. It is yourself, Boniface, and now Anne that has attempted to draw me in to defend Medjugojre when I have clearly stated, many times that I was not here to do that. I have made responses to your posts out of courtesy, perhaps not answered questions you wanted me to, but wasn’t it made clear at the outset that I would not do this? And yes, it can be frustrating when someone does not respond in a way you would like them to, but had you remained open in the first place then perhaps you may have understood THE REASON. Thank you for your dismissal. It speaks volumes. “If you don’t want to discuss this and are posting no substance whatsoever pertaining to the post topic or my criticisms then there is no reason for you to be here any longer.”?? Alexander... on one hand you say I AM mounting a defense, and on the other hand say I am not posting any substance, and there is no reason for me to be here any longer. Such is ambiguity!? ?What isn’t ambiguous to me is that you just haven’t picked up on what I have repeatedly said: THE REASON I made a comment on this blog was to correct an error in one of the messages posted and to point out the less-than-charitible comments made by Boniface about the visionaries. I know perfectly well why you are here. What I don’t know is why you keep talking to me, Notice I said “there is no longer a reason” meaning that you made you point before and talking to me is useless because you are not defending anything I am saying. So why keep responding? It is yourself, Boniface, and now Anne that has attempted to draw me in to defend Medjugojre when I have clearly stated, many times that I was not here to do that. Here is what you do then. You simply say that you are done and you will now be leaving. I was posting here assuming that you would further correct misinterpretation of the seers..
You seem to quickly correct Boniface about his information on the seers but when I present something about the seers you ignore it. That is why I am confused. Your initial attempt was to defend the seers; I then started to present more information about the seers to see if you can defend it. You then turn around and say you won’t do it. That’s fine, but how about saying “I’m done now guys, I’m leaving.” But you remain here and try to give me an indirect defense by explaining your experiences with Medjugorje; you were giving a witness. So it’s a bag of confusion; you’re only here to correct Boniface.. but yet stay to witness Medjugorje, but state you aren’t defending it… when you really are.. I have made responses to your posts out of courtesy, perhaps not answered questions you wanted me to, but wasn’t it made clear at the outset that I would not do this?? ?And yes, it can be frustrating when someone does not respond in a way you would like them to, but had you remained open in the first place then perhaps you may have understood THE REASON. I have remained opened. You are acting in a confusing manner. I have demonstrated this. Maybe you will now try to defend yourself and call it a non-defense? Also, what do you mean by it speaks volumes? I will tell you what speaks volumes: the confusing way you act and your refusal to defend Medjugorje in light of the information I posted. Now that speaks volumes in my opinion. As much as I have enjoyed following this extremely long thread, I think I'm going to have to insist that you guys either cool it or stop posting on this subject; it is obviously going nowhere. If you can regain your composure without constantly questioning why each of you is here, then please feel free to continue, but otherwise knock it off. I’m cool, Boniface. I’m happy to leave Alexander with the last word. Thank you for your comment facility. Peace. 3. Also, what do you mean by it speaks volumes? It takes two to converse, but on this occasion, respecting the sensible advice given by Boniface, I shan’t answer any of them. Perhaps silence will now reign from Alexander’s direction, but I doubt it. You enjoy knocking my character in your last two posts huh? Looks like your composure is shaken and your lack of a defense still speaks volumes. It's simple: If something True implies something False, then it's false. If these apparitios are True, and it's teaching that Catholcism is just one amongst many religions it HAS to be false. Mary would NEVER contradict her son's Church or the rules within the Church. The same goes with anything. It's either all or nothing, it's very black and white. The end thing of importance is nothing to do with what supposed good fruits there are from Medjugorje, how many people go there and feel something or not. All that matters is whether or not the seers and the messages are trustworthy, and I hold that they are not. And if they are not, then nothing else matters, not fruits, not how much people love going there, none of it. Only whether or not the messages are true. The Holy Father has NOT approved it (and in the catholic church, an apparition is not true until it is approved, NOT the other way around. The silence of the vatican ought to be interpretd as a condemnation, not as a declaration of validity). I will pray for you. In your zeal, you are saying the Holy Scriptures where Jesus says to use the fruits as a test, you Boniface will not listen to -- you will not listen to Jesus on this, you say to all of us. And the Church has not said it is false so it can still be visited and studied by people -- it is incorrect to say until the Church says it is true -- Fatima devotions - the 1st Saturdays etc - were practiced BEFORE Fatima was approved. St. Faustina's painting of "Jesus I Trust in You' was the Divine Mercy chaplet etc were practiced BEFORE Church approval. The Church did not say it was false, or harmful, so it allowed these, and it allows us to visit Medjugorje, too. Religious (priest, nuns etc) cannot say in a Church setting such as a Mass that it is real -- that is not allowed since it implies the Church has approved it and might confuse the faithful. Priests and nuns and all of us can PERSONALLY believe it is real. And God's words have been met with confusion - hence we have Protestantism which claims their own Scriptural interpretations, so to say St. Mary's messages must be clear and unable to be distorted by human beings is both a fallacious and specious argument. Think, and more importantly, pray. First, Christ's admonition to judge by fruits presupposes that the doctrine is correct. If doctrine is incorrect, then fruits do not matter, as St. Paul said, "If I or an angel from heaven preach any other Gospel than the one you have received, let him be accursed." Secondly, I'm not saying you can't privately believe in these messages, just that you may be foolish to do so. The Palmarian Catholic Church (One Holy Catholic Apostolic and Palmarian Church) is a schismatic Catholic church with its own, self-acclaimed pope, Peter II. He is held as an antipope (a false claimant to the papacy) by the Roman Catholic Church. The Palmarian Church as a group was established in 1975 by Clemente Domínguez y Gómez, an insurance broker from Seville, Spain, who claimed the Virgin Mary appeared to him at a shrine outside the small village of El Palmar de Troya in Andalucía with instructions to rid the Roman Catholic Church of "heresy and progressivism" as well as Communism. Initially the group around Domínguez y Gomez did not style itself as a separate church, but as a new Roman Catholic order of conservative Carmelites (Order of Carmelites of the Holy Face or Carmelite Order of the Holy Face), inspired by the supposed apparitions and which styled itself as "faithful to the holy Pope Paul VI." This canonically unapproved order has claimed that Paul VI (who is still honoured by them as a martyr-pope) was detained in the Vatican by cardinals. Furthermore, the order has been isolated from mainstream Catholicism by its use of hallucinogenic drugs. The order was initially run by laymen, but supported sacramentally by a range of Roman Catholic priests. A key figure in obtaining Holy Orders for the Carmelites of Palmar de Troya was the former Roman Catholic priest (Bernardine canon) Rev. Maurice Revaz. Revaz convinced the elderly Vietnamese Roman Catholic Archbishop Ngo Dinh Thuc Pierre Martin of the authenticity of the apparitions in Palmar de Troya. Accepting the mystical message of the seer-mystics in Palmar de Troya, the Archbishop believed he was called to raise two of the order's lay members (Dominguez and Corral) and three of the priests associated with the group, to the rank of bishop without seeking permission of the Vatican in 1976. He also ordained some of its lay members to the priesthood to secure the survival of these 'Carmelites.' Thuc and the five men he had consecrated as bishops were subsequently excommunicated by Pope Paul VI because the episcopal consecrations had been conducted without Vatican approval. Thuc cut off association with the Palmar de Troya group and asked Paul VI to be forgiven and absolved of canonical penalties, a request met by the Holy See. In 1978 Clemente Domínguez y Gomez set up his own holy see in Seville claiming he had been mystically crowned pope by Jesus Christ in a vision, and that only he was the legitimate successor to Pope Paul VI. He took the name Pope Gregory XVII and named his own cardinals. By these actions the group formerly known as 'Carmelites of the Holy Face' transformed into the Palmarian Catholic Church. Some of Catholics previously associated with the Carmelites left the group because of this formation of a separate Palmarian Church, which they considered schismatic. 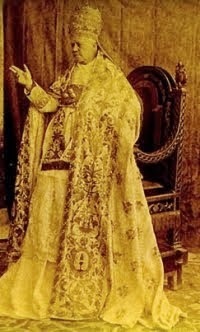 Uniquely, the popes of the Palmarian Church do not claim to be the titular Bishop of Rome. Rather, they claim that Christ transferred the position of Patriarch of the West and Supreme Pontiff to the new episcopal see of Palmar de Troya. This is a departure from traditional Roman Catholic doctrine, which identifies the papacy with the Bishop of Rome and holds that personal revelations are not binding on the whole Church. The Palmarian Church claims to have 60 members of clergy (all of whom are bishops), 70 nuns and 2,000 followers. It has chapels in Britain and Latin America as well as Australia and New Zealand. Palmarian Pope Gregory XVII called the Roman Catholic Church a false church, and declared Pope John Paul II excommunicated. He also canonized Francisco Franco, Josemaría Escrivá de Balaguer and Christopher Columbus and declared Paul VI a martyr saint (according to the group's claim he had been kept a hostage and drugged in the Vatican while Masonic cardinals usurped his authority). Since 1983 the Palmarian Church has drastically reformed its rites and its liturgy, which previously had been styled in the Tridentine form. The Palmarian liturgy was reduced to almost solely the Eucharistic words of consecration. The See of Palmar de Troya has also declared the real presence of the Virgin Mary in the sacred host and the bodily assumption into heaven of St. Joseph to be dogma. By 2004 they had their own version of the Bible, as revised by Dominguez who claimed to have received prophetic authority to do so. This breach with traditional Catholic teaching on the authority of the Bible led to the secession of a dissident group of Palmarian bishops based in Archidona, Spain; they maintain that Dominguez was indeed appointed as Pope by Christ but forfeited his office when he fell into heresy through his claim to rewrite the Bible. Between 1978 and 1983 many adherents left the Palmarian Church, among them key figure Rev. 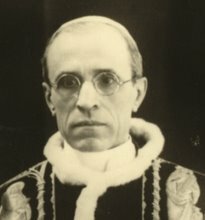 Maurice Revaz who had been consecrated a Palmarian bishop in mid-1976. He was reconciled to the Roman Catholic Church by Pope John Paul II in 1983 (and subsequently laicised) and cut all ties with the Palmar community. A similar case was Alfred Seiwert-Fleige who was ordained a priest for the Carmelites of the Holy Face in early 1976 by Archbishop Ngo Dinh Thuc, and consecrated a bishop around 1980. He left the Palmarian Church in 1981 and was finally reconciled with the Roman Catholic Church in 2001 by Pope John Paul II, and concelebrated at a Papal Mass at St. Peter's Square, Rome, after which he was publicly embraced by John Paul II. Domínguez died in March 2005 whilst administering Palmarian Easter Liturgy and supposedly during a vision. His church later declared him to be Pope Saint Gregory, XVII, the Very Great. Manuel Alonso Corral succeeded him as the Palmarian Pope Peter II. Despite the name 'Peter II' the Corrall does not claim to be 'Petrus Romanus', the last Pope, according to the Prophecy of the Popes (controversially accredited to St. Malachy of Ireland and generally disputed among many Catholics and secular scholars alike), as he does not claim to be the Bishop (titular or otherwise) of Rome and has no personal ties to that see. I’ve read many of these posts and am reminded again of how defenders of Medjugorje consistently demonstrate virtually no understanding of the Catholic religion or even a elementary sense of logic. To cite one example of the latter, one of the earlier exchanges between Pilgrim and Boniface involved Pilgrim accusing Boniface of inconsistently picking and choosing between what Pilgrim assumes are concessions to the vision when Boniface quite properly explores the fact that the visionaries did not enter the religious life as they were ambiguously encouraged to do by the vision and said they would do in the early history of this charade. It is quite illogical for Pilgrim to accuse Boniface of illogic. Boniface did not concede anything to the vision but obviously explored the “picking and choosing” consistency of the seers themselves. I can not believe that any Medjugorje enthusiast has any authentic respect or reverence for the Mother of God. At best the moral qualities the seers themselves attribute to their vision, whom they claim to be the mother of God, involve a being (or fantasy or hoax) who is emotionally insecure, capricious, ignorant of human history, subservient to the seers, obedient to the seers, snottily dismissive of church authority, snottily dismissive of church doctrine, and venomously uncharitable towards those exercising their Catholic and moral obligation to be skeptical of any claimed apparition. When our lives are over and we have to give an accounting, do we really think Jesus is going to be thrilled if we in any way gave support, actively or passively, to a phenomenon that depicted his mother as a shrew? VATICAN CITY [January 8, 2009] - Civitavecchia and Medjugorje represent the most recent and sensational cases: places where the alleged visionaries say they have had and continue to have apparitions of the Virgin, even if Our Lady would simply give them absolutely inconsistent messages from a theological and spiritual point of view . The result: the faithful are bewildered because of the display that the Church not only has not yet recognized them as truthful, but will hardly approve them in the future. As we know, however, the caution of the Church is very great in the matter: there are hundreds of cases of apparitions rejected and branded as false in the past fifty years. Nevertheless, there are those who continue to swear to see Madonna, drawing to their places crowds of desperate faithful, many times in search of a miracle or a grace that, however, does not come. How then, to deal with this phenomenon? How to prevent the spreading of untruthful messages of the Mother of Christ to mankind? The answers to these and other questions are contained in a ‘directory’ Benedict XVI has made to instruct the Congregation for the Doctrine of the Faith and that will soon be made public and sent to the diocesan bishops of the whole world. With this document, which integrates the Instructions already issued in 1978 by the Vatican, the Pope calls for the greatest severity in the verifications related to the establishment of the truthfulness Marian apparitions. The bishops, having set up a commission of psychiatrists, psychologists, theologians and educators, should impose silence on the pseudo-visionaries. This will be a first test: history teaches, from Lourdes to Fatima, from Guadalupe in La Salette, that those who really have the gift of being in direct contact with the Madonna, follow the directives of the local Church, even in the face of enormous sufferings. Therefore, one who will not remain silent but causes the news of these alleged apparitions to circulate freely, attracting around themselves the presence of the curious, journalists and the faithful in search of a particular grace will have already given a sign that shows the falseness of their mysticism. Mary herself, in fact, would never validate an act of disobedience against a bishop, even if they were in error. The second point: the pseudo-visionaries will be visited by psychiatrists and psychologists, possibly either atheists or Catholics, to certify their mental health and to verify whether or not they are suffering from diseases of a hysterical or hallucinatory character or from delusions of leadership. The third step to do: determine the level of education of the one being proclaimed a ‘mystic’ so as to avoid one who might mislead the church authorities and the faithful after having carefully studied writings on theology and Mariology. 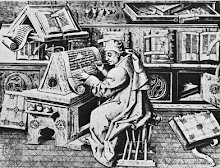 In that sense, one who is under investigation by church authorities will be called upon to deliver to the Commission established by the Diocese the informational equipment in his possession, including personal computer, to make it possible to verify whether he has ever done research in the field of apparitions on the Internet, a wealth of information for those wishing to copy or learn the theological meaning of heavenly messages from true visionaries. In the directory, also, the bishops are asked to determine whether pseudo-visionaries have direct or indirect economic interests in connection with the pilgrimages and in the inevitable sale of religious souvenirs in the places where they say they see the Blessed Virgin Mary. Then there is the question of respect for orthodoxy: all that is revealed by the apparitions should not result in being contrary either to the Gospel or doctrine of the Church but be in harmony with them. Needless to say, therefore, that if a visionary attributes to the Madonna phrases or concepts contrary to the Magisterium, he or she is to be considered false. If directly from the analysis nothing abnormal should result, and then the visionary be considered credible, ultimately that visionary will have to be questioned by one or more demonologists and exorcists to exclude the possibility that Satan (as has happened already so many other times in the history of Christianity) is hiding behind the apparitions in order to deceive the faithful. Under the new instructions ready to be issued by the Holy See on behalf of Benedict XVI, who already had to deal with the phenomenon of Marian apparitions during his more than twenty-year mandate as Prefect of the Congregation for the Doctrine of the Faith, one can therefore expect a real crackdown with longer, more meticulous and strict processes on the part of the Dioceses, also in order to provide correct information to the faithful, so that no more events will take place like those in Civitavecchia and Medjugorje, where thousands of people continue to come even though the Vatican has never recognized as true and supernatural the phenomena reported there. Of course, according to the ‘Vademecum’ which the Pope had written for the competent Congregation, the same investigative practice will be used if someone should claim to see and talk to Jesus, the angels or the saints, or even (a recent case is in the province of Salerno) manifest the stigmata or say they have statues and sacred images that shed tears in the house. The well-known theologian Rene Laurentin, after years of research, has recorded over 2,450 Marian documented events in the history of the Church. But out of almost 300 requests for investigation initiated in the last century, church authorities have officially certified as true only a dozen appearances. 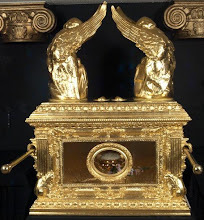 The most recent recognition is that of Our Lady of Laus, in France, which took place May 8, 2008, but the faithful had to wait three centuries before obtaining it. The other approved apparitions are mainly concentrated in Europe (Fatima, La Salette, Tuy, Beauraing, Banneux, Syracuse), but also in Egypt (Zeitun), Syria (Damascus) and Rwanda (Kibeho). At the beginning of this article we mentioned Civitavecchia and Medjugorje; in the first case it is a little girl that claims to have had apparitions of the Virgin. In that context, a statue of Our Lady of Medjugorje placed in the garden of her home would have wept blood; the same phenomenon was supposed to have been repeated in the presence of then Bishop Girolamo Grillo, who was initially skeptical. 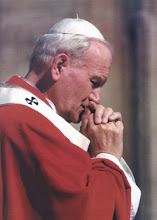 John Paul II himself, when made aware of what happened, wanted that statue in his private chapel for several hours, but the Vatican has never come out in favor of the apparitions and the tears as being supernatural. More complex is the case of Medjugorje: for more than a quarter of a century, the Madonna would appear every day to the visionaries, and once a month would speak a message for mankind. .But Cardinal Tarcisio Bertone, the Pope's right-hand man, has never hidden his skepticism? Since 1981, Mary would have appeared tens of thousands of times in Medjugorje. This is a phenomenon that cannot even be compared to other Marian apparitions”. For this reason, the Vatican has asked Opera Romana Pellegrinaggi (one of the most important agencies of religious tourism which belongs to the Vicariate of Rome) to delete from their catalogue visits to the most famous place in Bosnia-Hercegovina, where, nevertheless, more than two million faithful are visiting every year. Where is the problem? Two factions have been created: one in favor of the apparitions, and therefore on the side of visionaries; the other one openly sided with the diocesan bishop, Msgr. Ratko Peric, who like his late predecessor, does not believe in the truthfulness of these phenomena, and after never having been listened to, already some time ago requested the alleged visionaries to live a hidden life and not disclose any message attributed to the Madonna. This failure to obey the Bishop would already be enough, according to the ‘Vademecum’ devised by Benedict XVI, to declare the apparitions of Medjugorje to be false. Boniface - I'm listing you in my blogroll. Please don't be scandalized, I'm a Novus Ordo Catholic with an appreciation of most things traditional. I do not expect you to link to me however. Great post - I want to highlight it on my blog, but in a day or two. Thanks again. "I can not believe that any Medjugorje enthusiast has any authentic respect or reverence for the Mother of God." Overreach to make a point! Apparently, you don't know any of them. If you do, I don't know what to make of your statement... I've read parts of this long thread, and, in general, I'm with Pilgrim... Time will tell. 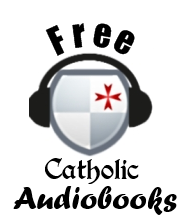 Alexander’s post from Michael Davies’ book should be enough for any catholic that is truthful with themselves that to be catholic is to be obedient to catholic tradition. There is little point in being catholic if you’re not obedient. What is described above is pure disobedience to the proper authorities of the church. Pilgrim’s constant treatment of hammering away at medj. first without approval by the competent authority, in this case the bishop, but also having a “personal” feeling that this apparition is truly from heaven simply by physically having to fly to medj. to say it is a certainty that it is Our Lady. The “seer” Vicka seems a carbon copy of Pilgrim in that they put aside any authoritative reasoning from the proper authority and simply rely on their own judgment. Pure folly at best, satanic at worst. Vicka “INSISTS” it is Mary appearing without due process has a familiar ring to most medj. followers I’ve heard about. This cultish behavior is indicative of satan . Have just read your excellent and patient post on Medjugorje against its promotion of false ecumenism. As we are now in 2019, things are hotting up ecumenically and interfaith with the recent signing of the document by Pope Francis and the Imam on Human Fraternity. It contains the statement that God positively out of His wisdom, wills a multiplicity of religions. One has to sympathise with the Second Person of the Trinity if this is really the case. All Jesus' talk about 'the way is wide that leads to destruction and many there are who walk in it' contrasted with the Narrow Way which few find, and which in fact dovetails nicely with Jesus saying "I am the Way, the Truth and the Life". As to why Medjugorje could have been allowed to run on these many decades, well I think today we have answered that question. I have friends who are firm supporters of Med. and quote 'the fruits' but I dont believe they have approached this apparition theologically and therefore have not seen the road rising up before them of a mega church - indeed a work of human hands.